A report from the Department of City Planning issued during the final days of the Bloomberg administration is a trove of data about parking, but a look behind the pretty maps reveals a department that remains focused on dictating the supply of parking spaces and reluctant to use its power to reduce traffic and improve housing affordability. Mayor de Blasio and his to-be-announced city planning commissioner will have to fix this backwards approach to turn parking reform into an effective tool for the administration’s affordability agenda. Under Amanda Burden, the Department of City Planning acknowledged the negative impact of parking mandates on environmental and affordability goals, then ignored many of those concerns when it came time to setting actual parking policy. Instead, the Bloomberg administration preferred to tinker with decades-old parking mandates in a few locations while preserving them across most of the five boroughs, using the promise of off-street parking as a bargaining chip to quell residents skittish about new development. Absent a course correction from the de Blasio administration, this broken approach to parking could continue on auto-pilot. Timid half-measures that DCP made in the Manhattan core and Downtown Brooklyn appear set to spread to adjacent neighborhoods in the “inner ring” covering much of the Bronx, Queens, Brooklyn and upper Manhattan. In a report released last month examining parking in those neighborhoods, DCP set the stage for future policy changes by casting itself as the arbiter of parking demand. The report discusses how to adjust parking requirements to match that demand, rather than using policy as a tool to reduce traffic and drive down the cost of housing for all New Yorkers. There is one bright spot in the report: the recommendations for income-restricted affordable housing. “Parking facilities are often expensive to construct and affect the cost of constructing residential buildings,” says the report, noting that the median cost of structured parking in New York City is the highest in the country at $21,000 per space — sometimes spiking as high as $50,000 per space. “Excessive parking requirements could hinder housing production, making housing less affordable,” it says. But instead of applying this logic to all new housing, the report focuses narrowly on subsidized units. This issue plays out constantly in the city. In Harlem right now, a developer is looking to reduce costs by building fewer parking spaces than required, and some community board members want the savings to go toward providing more affordable housing units, according to DNAinfo. But the implications for affordable housing aren’t limited to subsidized units. If the city eliminated all parking requirements, more resources could be devoted to building homes and apartments, not car storage, and housing overall would become more affordable. This policy of focusing parking reforms on affordable units is in line with changes DCP has already made in the Manhattan Core and Downtown Brooklyn, where parking requirements for affordable units have been eliminated entirely. It’s also an avenue for parking reform that might be appealing to the de Blasio administration. But it does nothing to reduce the cost of new housing for New Yorkers who don’t live in a subsidized unit. Today, even transit-oriented areas in the outer boroughs with already-low rates of car ownership have parking requirements for new development, driving up the cost of housing. But DCP’s latest report only contemplates reducing, not eliminating requirements in these areas. “It makes sense to have lower parking requirements in these neighborhoods,” it says, without acknowledging that cities have ditched parking mandates in areas that have much less transit access than New York’s “inner ring” neighborhoods. But it’s not the role of city government to forecast demand for parking and then adjust policy to compel developers to provide that parking. DCP acknowledges that parking mandates have a host of negative impacts, but still insists on requiring parking in new development. With the share of car-free households on the rise in New York, it’s long past time for the city to get out of the parking demand projection business, and get serious about achieving its environmental and affordability objectives. Parking reform is an issue Bloomberg barely touched. By taking it on, the de Blasio administration can make serious headway on its affordability goals. See the difference in the revised sentence? Myself and people like me are no longer edited out of existence. There is more to parking than car parking and more to traffic than motor vehicle traffic. I am a real human being, and when I get on my bike to travel I am real traffic. We oversupply parking and undersupply housing. And wonder why the rent is too damn high. The fear (founded or not) among existing residents is that newcomers will always bring a certain number of cars with them, and without off-street parking space, this will increase demand for on-street parking spaces and add extra traffic to already busy streets. The current parking policy in NYC makes it difficult to measure how true this is and even more difficult for the city to have any control over whether new residents bring cars with them. Other cities, such as DC, have residential parking permits, which can actually regulate and monitor the effects of zero-parking and reduced-parking developments. DC is experimenting with allowing no-parking developments, on the condition that residents are barred from ever applying for parking permits. Even if they were to somehow get a permit, there would be a record of this action, and the policy could then be analyzed to see if it is successful. Practically speaking, this seems like the most realistic way parking reform opponents can be won over. Streetsblog and the advocates should be pushing DeBlasio to appoint Harriet Tregoning, as was rumored. She’s been a huge leader on parking in D.C., and has improved the planning of DC in a dozen other ways besides. Trottenberg was a great, high-powered outside hire. The same is needed, perhaps moreso, at DCP. Disagree. Mitch Silver is by far the best choice. Former president of the American Planning Association, former DCP planner, and current chief planner for Raleigh, NC. The guy is a visionary and would do a hell of a good job. I’ve had the pleasure of meeting and speaking with him and he gets it. As far as parking policy, RPP all the way. The reality is the Manhattan core and the large swaths of the boroughs have different built environments and different parking needs. 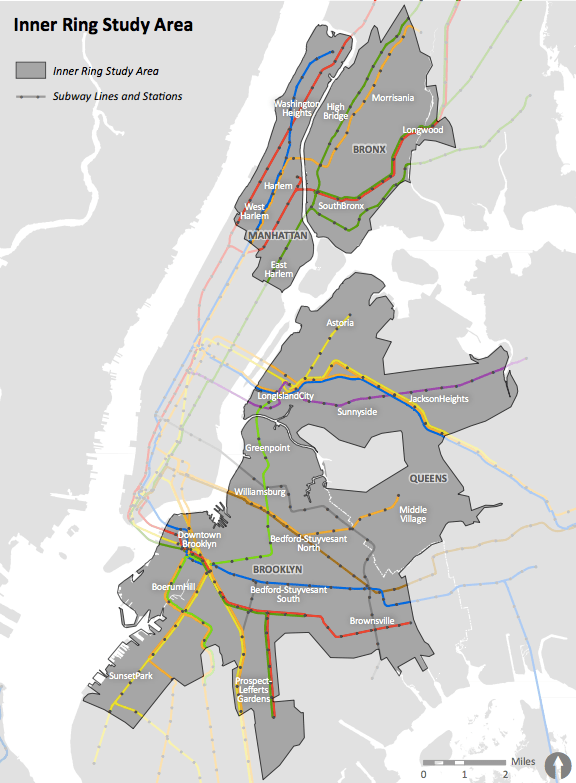 Maybe parking minimums can be done away with someday in the distant future when we have a fully built out transit grid and thus no need for car travel between boroughs, but as it is now, if you need to get from say, the Bronx to Queens and value your time, you drive. Why bar the residents from ever getting a permit? Why not fix the number of permits instead, and offer them to existing residents for a given annual fee, and let them use them or sell them, along with future registration rights? I think it went down as follows: The developer didn’t want to build expensive parking cause he could sell units to people without cars. The community said people would probably bring cars anyway. The developer said, hey, what if we make it so they can’t. The community said, well that’s interesting. It’s not exactly a great way to make policy, but the idea of restricting permits allows for more creative and informed negotiations and experimentation. I like the idea of capping parking permits, but a market rate approach has the risk of the price shooting way up and people hoarding them. Kinda like the current taxi medallion system. I agree. Housing policy should be about providing housing for people, not cars. Car parking should be subject to free enterprise and free market capitalism. This means the laws of supply and demand which dictate that where demand is high the price goes through the roof. This is exactly what happens to housing for people in New York. Why should there be free market capitalism and expensive housing for people, but government socialism and cheap housing for cars? There isn’t free-market capitalism for people, either. If de Blasio gave two hoots about affordable housing he’d be vocally demanding that rent control be put out of its misery, but that would piss off Charlie Rangel. Actually, $40-50k per space is pretty standard for structured parking in suburban locations across the country. I’d be shocked if the number for NYC was under $70k per space, probably closer to the $100k mark.